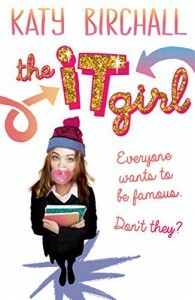 THE IT GIRL by Katy Birchall is the first book in a new series. They story follows Anna Huntley who finds herself moving from invisible new girl, to hanging with the popular crowd at school when her dad gets engaged to a famous actress. I should admit from the start that THE IT GIRL is not the type of book I would generally pick for myself; I got it as a gift in a Secret Santa exchange at Christmas. I am a firm believer that sometimes we should test our boundaries, and try new things – you never know, they might surprise you. With that in mind I have given THE IT GIRL three stars out of five because although this book is not my cup of tea, I think that as a humorous contemporary novel it’s not a bad read. I did on the whole quite enjoy reading the book – though it did take me a while to get through it, as I had to put the book down at times and just walk away. In a lot of ways THE IT GIRL reminds me of the series The Princess Diaries by Meg Cabot, except Anna’s fame comes through association. The book is narrated by Anna herself, which lets us get into her head. One of the things that I really liked about Anna is that for all her panicking about not being able to fit in, she is quite content to just be herself. The sections of the book where Anna was like this were my favourite parts. Unfortunately, Anna just wants to fit in and this causes her – and everyone else – a few problems along the way. I don’t really think there’s anything particularly original to the plot of THE IT GIRL. I pretty much guessed what was going to happen just from reading the synopsis – if you’re looking for surprises and twists, this is probably not going to be the book for you. Having said that, Birchall handles Anna’s changing circumstances and ideas really quite well – there is a lot of progression to Anna’s character in this book. The ending does seem a little open, but as this is the first in a series then it’s somewhat to be expected I suppose. 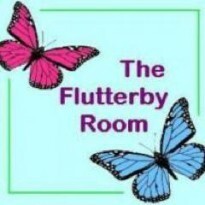 THE IT GIRL is much more about characterization than it is about plot. Anna’s relationships with her parents were not quite what I was expecting. For all that both appear on the page, Anna is the one who seems the most mature. To make up for that Anna has some awesome friends in the form of Jess and Danny, who like her for who she is. I really liked the way that Birchall wrote their friendship; I think it was one of my favourite parts of the book. And of course then there’s Anna’s relationship with Dog, which was absolutely brilliant. Although THE IT GIRL was not my cup of tea, I did think that for the type of book it is that it is a good read. I also think if you are closer in age to Anna than I am, then you may enjoy the book more.